In this part of the Fire Extinguisher series, you'll learn how to create great looking game ready textures. 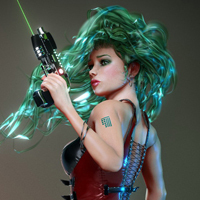 Learn how to create LODs in the conclusion of Antony Ward's Game Character Creation series. This tutorial will give you a thorough introduction to character modeling in Blender.